There's a whole bunch of stuff happening this evening. On top of the Clean and Dama/Libra shows detailed below, Dutch neopsych singer Jacco Gardner will be playing at the Empty Bottle with openers Bare Mutants. Tomorrow on Tue 8/19, there's spiritual indie-pop collective Polyphonic Spree. playing at SPACE in Evanston Then on Wed 8/20, Canadian skate punks Propagandhi play at Concord Music Hall, while the Glitter Creeps series kicks off at Whiskey Trust with sets from Flesh Panthers and Mr. Ma'am. Check out some words from our writers about tonight's big shows, and listen to our weekly "Best shows to see" Spotify playlist(follow us on Spotify too), below. 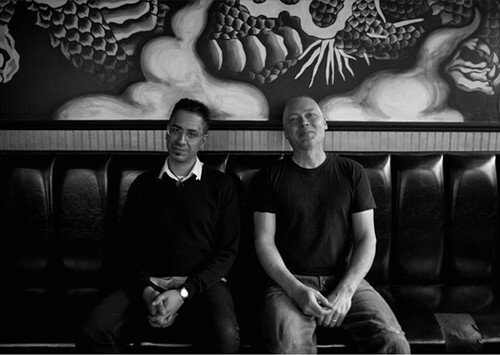 New Zeland indie-rock legends the Clean are playing Lincoln Hall tonight, a show originally booked for Schubas. Bill Meyer writes, "Legacies don't come much heavier than the Clean's. The New Zealand trio's earliest recordings kick-started an underground rock scene in their homeland that thrives to this day; their catholic tastes, DIY methods, and casually brilliant songs established an indie-rock template that was as meaningful to Yo La Tengo in the 80s as it is to Beijing band Carsick Cars right now. So I guess they're allowed to act at least a little like a legacy band. The Clean haven't worked up any new material since releasing Mister Pop (Merge) in 2009, and this tour coincides with a four-LP reissue of Anthology, a collection of their work from between 1981 and 1996. If their most recent Chicago appearance in 2010 is anything to go by, you can expect plenty of early material tonight." The members of Dama/Libra have played in a wide variety of bands, ranging from Sunn O))) to Silkwork, but this project is the first time Joel RL Phelps and G. Stuart Dahlquist have worked together. Peter Margasak says, "On Dama/Libra's new album, Claw (Northern Spy), they build spacious, vaguely liturgical drones on a foundation of long organ notes (they cite the music of Estonian composer Arvo Pärt as an influence) and slow, rumbling bass. The music can cast a spell, but it's often shattered—either by occasional ritualistic drumming (as on 'The Chant') or by Phelps's minimalist vocal melodies, delivered in a full-bodied wail that's imperfect enough to sound vulnerable. The raw, intuitive singing forms a taut dichotomy with the poised, stately instrumental tracks, and the contrast increases the power of both. This stuff sometimes sounds like it should be performed in a cathedral, not a rock club, but that in no way undermines its visceral impact."